The F050 is a straight forward pressure indicator with large 26mm (1") high digits. 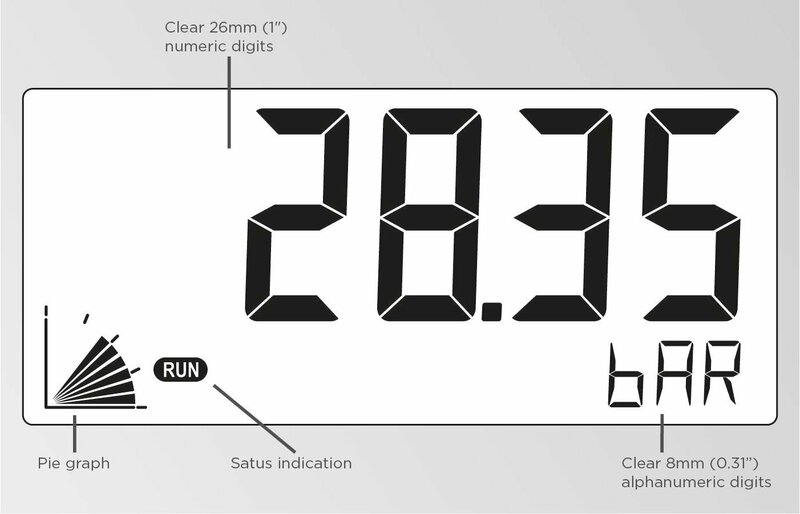 The measuring unit to be displayed below the pressure is simply selected through an alphanumeric configuration menu. No adhesive labels have to be put on the outside of the enclosure: a weather proof and user-friendly solution! Very large 26mm (1") high digits for pressure. 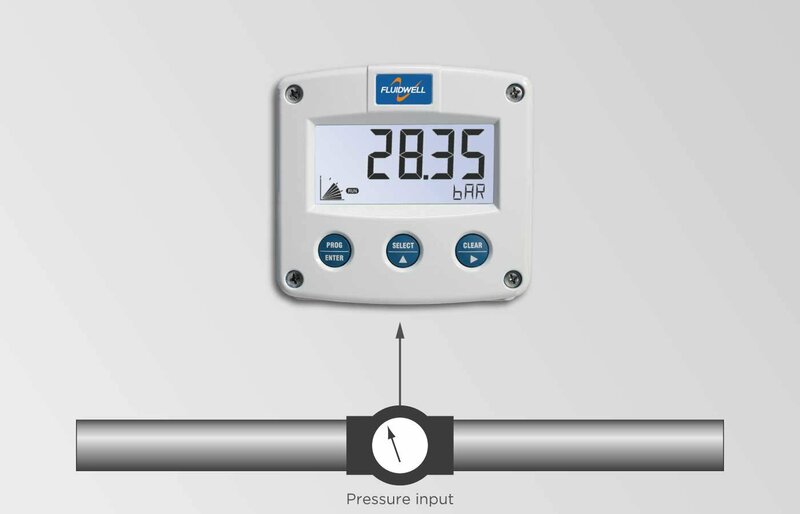 Applications where a basic pressure measurement display is required without pressure monitoring or signal re-transmission.